How many of us still have such a ‘Big Brother Big 大哥大’ at home? Sigh…I don’t have one at all…. 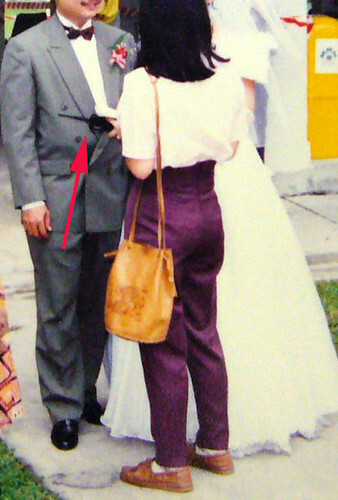 I’m referring to the first generation of those mobile phone – big bulky type. Later toy makers made water bottles mobile phones lookalike for children to mimmic. Talking about such ‘Big Brother Big’ mobile phone users, probably because of the size of the phone, they were usually held on the hands and ‘displayed’ on the tables when the users were seated down. 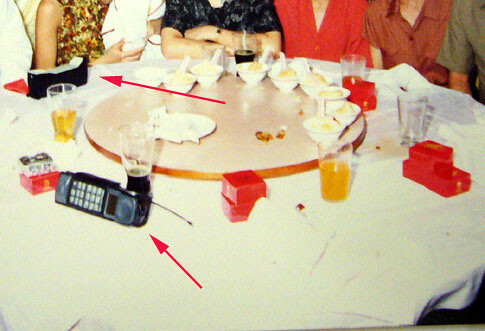 Above Photo : Relatives ‘displayed’ their Big Brother Big mobile phones on the dining table during my wedding dinner on 19 Dec 1992. Above Photo : A lady reporter from the Chinese media holding a ‘Big Brother Big’ mobile phone in 1992. Don’t you find the long antenna troublesome? 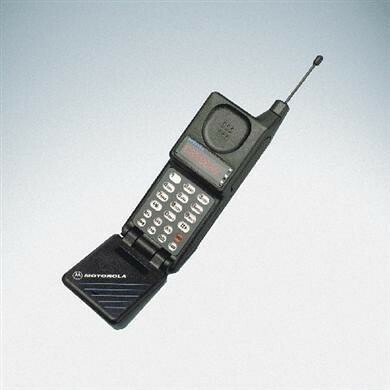 Such bulky mobile phones were popular during the 80s and 90s; and mainly from Motorola. 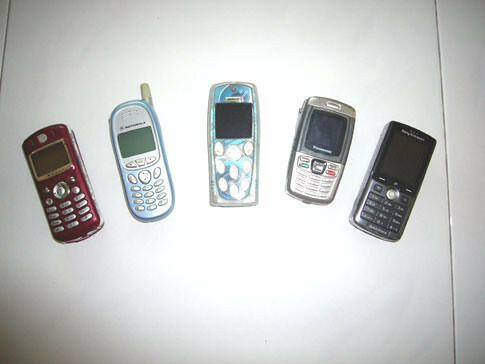 Do you still remember what brand and model is your first mobile phone? I don’t remember the brand and model, but I do recalled that the phone advertisement on TV showing it floats on a leaf. Do you know that brand for this ad? 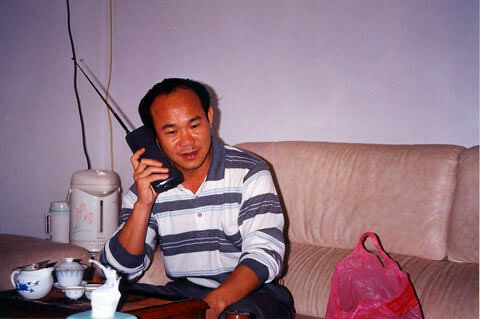 In fact, in the early 90s most Big Brother Big mobile phones were slowing fading off from the scene. 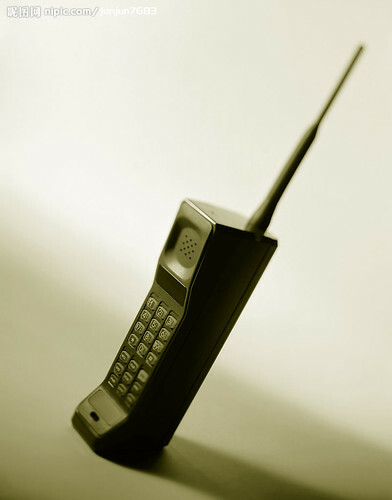 The smaller version of mobile phones like the Micro Tac was surfacing then.